A very wise person at a remarkable outdoor living company once said, “Spring projects should start with winter planning”, so I suppose writing about outdoor dining in a December blog article isn’t too far-fetched. I am sure that we all can agree that preparing meals and dining outdoors is one of life’s simple pleasures. From quick dinners with the family before soccer games to large backyard BBQs, the setup of your space will greatly determine the feel and flow of your outdoor enjoyment. Implementing a few of these designer suggestions will help make your outdoor living space more comfortable and accessible for you and your company. Whether your outdoor cooking station is a freestanding grill or a full-blown built-in kitchen, locating your outdoor meal prep near the home, preferably the kitchen egress, will save you a lot of frustrated sighs. You are almost always guaranteed to have to go back into the house for something you forgot, so proximity is key. Locating your cooking station near the home also provides the option of shared utility. Being able to tie into existing gas and plumbing lines used for the indoor kitchen may save you time and money! Using your home as the backdrop to your outdoor living space will also create a weather barrier for you and your guests. Your home will be able to block prevailing winds and blaring sunshine, while at the same time, create a homey atmosphere. For those who get hammered with sunshine at every meal, you have the option to tie into the home by creating a permanent overhead structure. 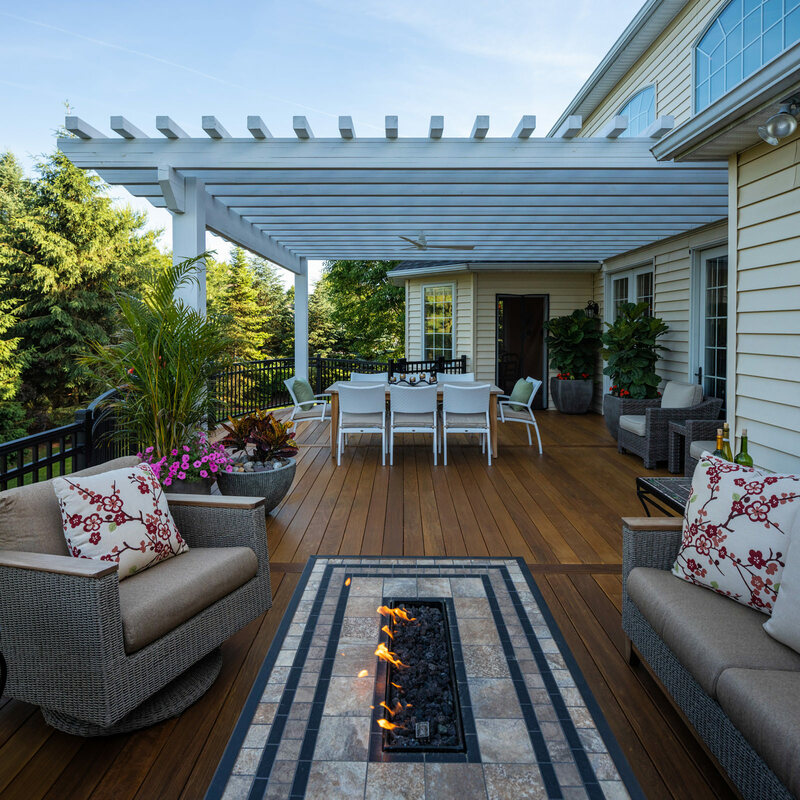 Implementing a pergola or roof system over your outdoor living spaces will provide the utmost weather protection year-round and also give you the opportunity to install comforting features like lighting and ceiling fans. This will not only help your guests to feel comfortable, but will also keep a constant breeze which will help to keep the bugs away when you are trying to dine or relax! 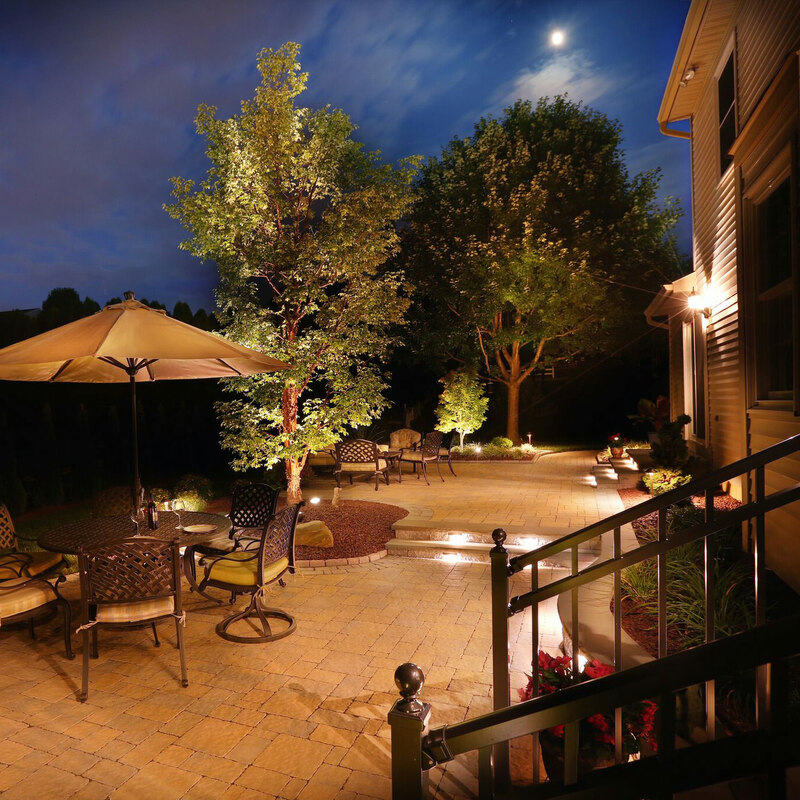 Just like the inside of your home, the outdoors should have “room” recognition. Be sure to create designated space for cooking and meal prep and locate your dining area nearby. The least amount of steps you need to take to get from grill to table the better. This will minimize carrying heavy or hot trays too far and virtually eliminate any ground obstacles like forgotten kickballs or discarded flipflops. After eating, some people like to stick around the table to chat while others prefer to depart from the dining table to relax. Providing the proper flow from dining to lounge doesn’t take much, just proper planning. Locating your hang out space near the dining area will subconsciously invite your company to stay a little longer to create more memories. 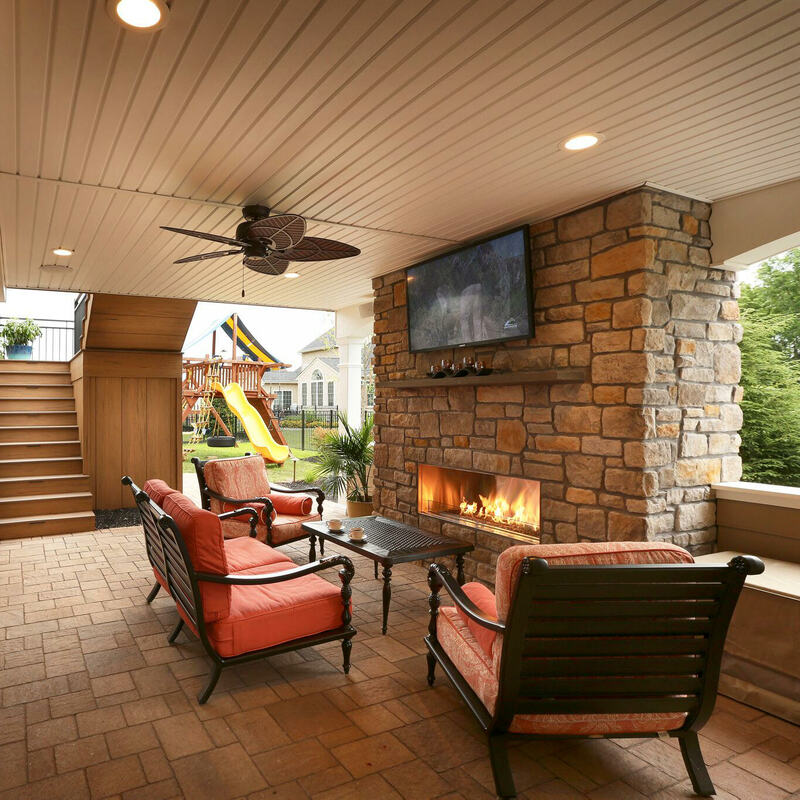 Having a defined space for a comfy lounge set or perhaps a cozy fire pit area with aligned Adirondack chairs or a cushioned seating wall will establish a well-rounded outdoor living space. As we all know, it is the details that make any experience incredible and unforgettable and your outdoor living space should be no acceptation. Lighting is a major factor when it comes to creating the perfect ambience and setting a mood. 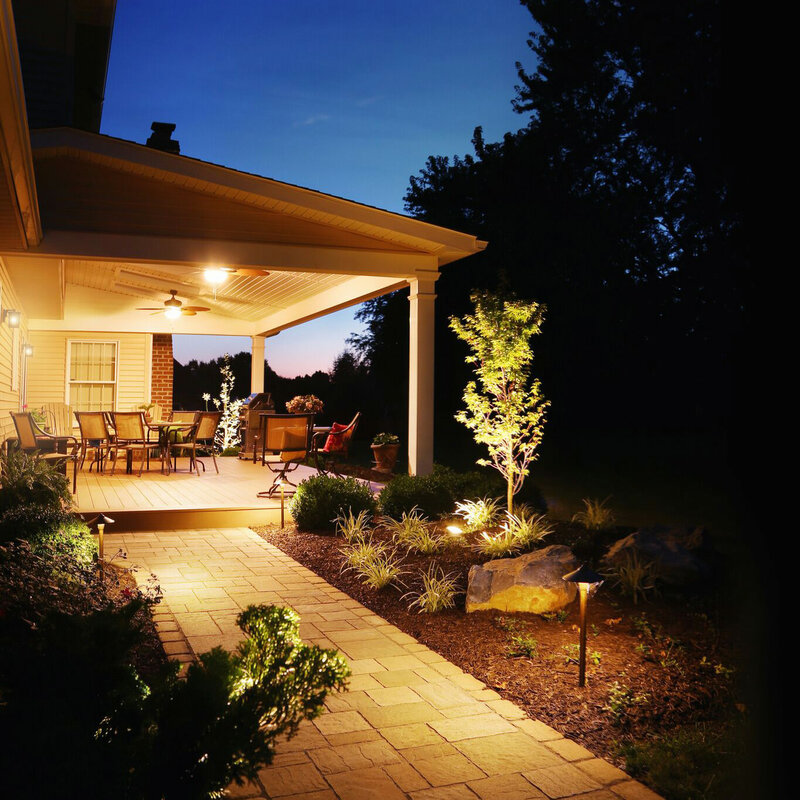 Not only will you need proper lighting at your meal prep and dining areas so your guests can see what’s on the plate, but accent and landscape lighting will surely set the scene. 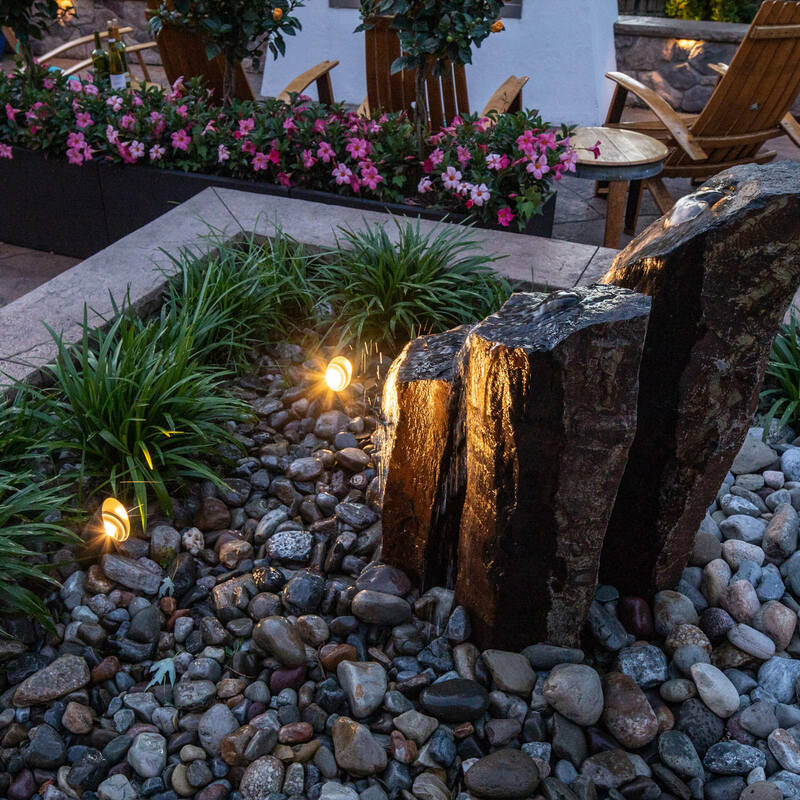 Whether you select outdoor sconces, gas-fueled torch lamps or outdoor-rated string lights, the accents will highlight and accentuate the splendor of the space. To tie your whole outdoor living space together, don’t forget to include décor. Mirrors, artwork, sculptures, rugs, pillow, cushions…etc. are typically reserved for the inside of the home, but bringing them outside will create the perfect balance between inside and out. With this extra attention to detail, you will be creating an environment that your family and friends want to spend time in. After all, don’t we always want our loved ones to be happy and comfortable? Ultimately, forethought and proper outdoor design will ensure that your outdoor living spaces are accurately planned so you, your family and friends can enjoy for many years to come. 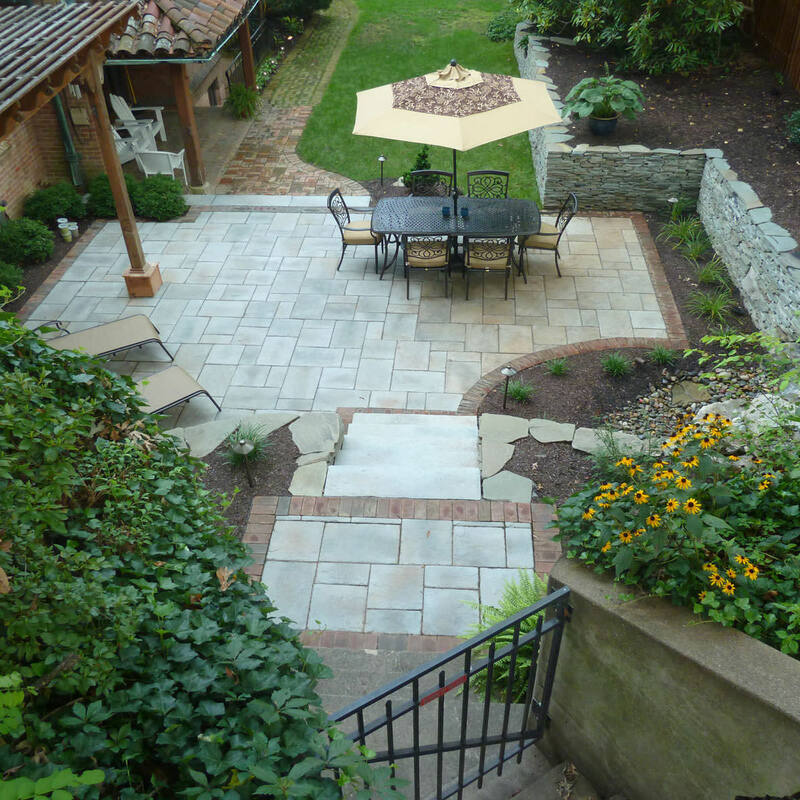 For those who have big outdoor dreams but not as big of a budget, talk to your landscape designer about a phased approach for your backyard. Creating a master plan and working towards your dreamscape in practical portions will guarantee that you will complete the process with a space you are sure to love. MasterPLAN Landscape Design would love to be the outdoor living company to partner with you through your outdoor living transformation journey! 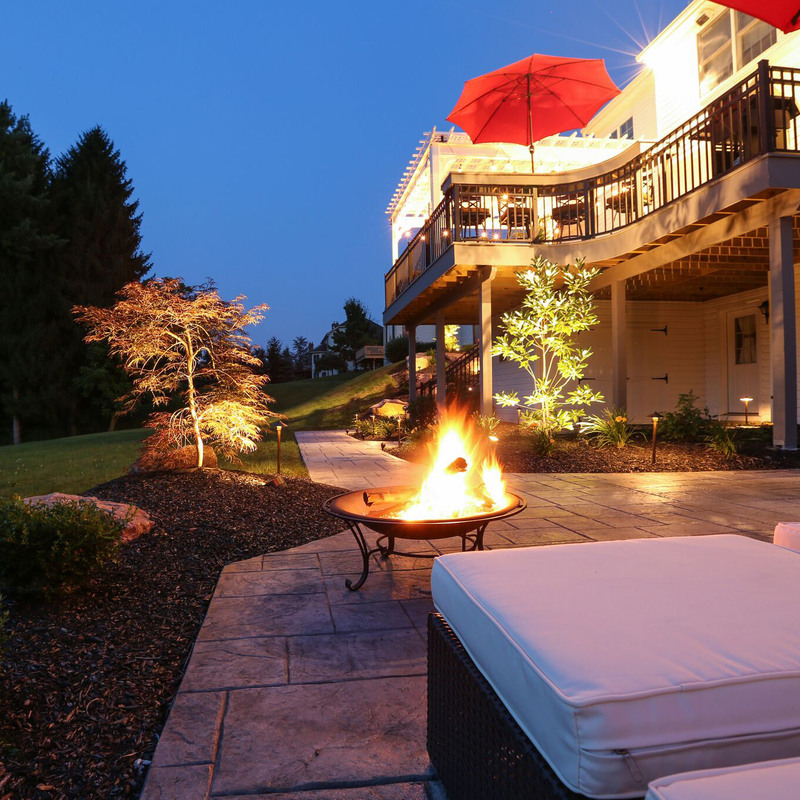 Serving the Poconos, Lehigh Valley through the Main Line of Philadelphia and western New Jersey, MasterPLAN is ready to sit down and explore all options for your property, your family and your lifestyle! When you are ready to explore the full potential of your outdoor space, reach out to MasterPLAN!